Bonus: the french fries at Cafe Express are some of the best fast fries in the city. News earlier this month that Maine-ly Sandwiches had launched a Kickstarter campaign to try and save their lobster roll shops drew fire for both its unusual application of crowdfunding as well as the prices of the lobster rolls that its fans were meant to save with their charity (to date, the Kickstarter campaign has only raised $497 of a $100,000 goal). "People don't want to buy an $18 sandwich," wrote one commenter. "It's their most popular item sure, but they don't buy enough to make the business work." But what about a $15 sandwich? 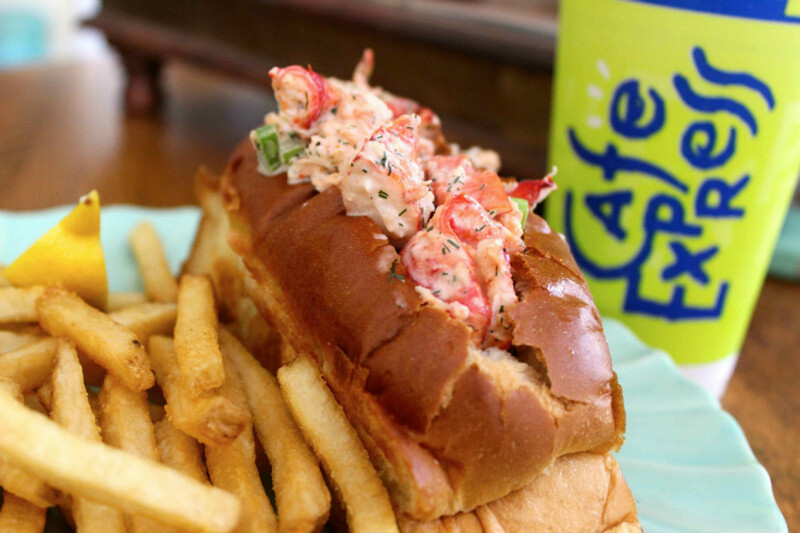 That's what Cafe Express is charging for its own lobster roll, a limited edition menu item that's currently on the menu at the fast-casual restaurant chain. 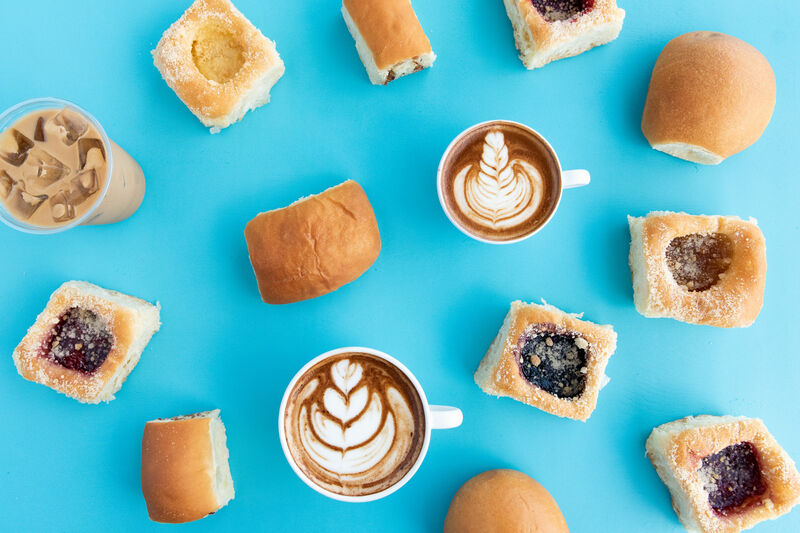 Despite its name, Cafe Express is anything but express at lunch, when the daily rush keeps the front counter slammed for hours—especially on a nice day. Today at lunch, it was made clear that I was far from the only person buying Cafe Express's $15 lobster roll. 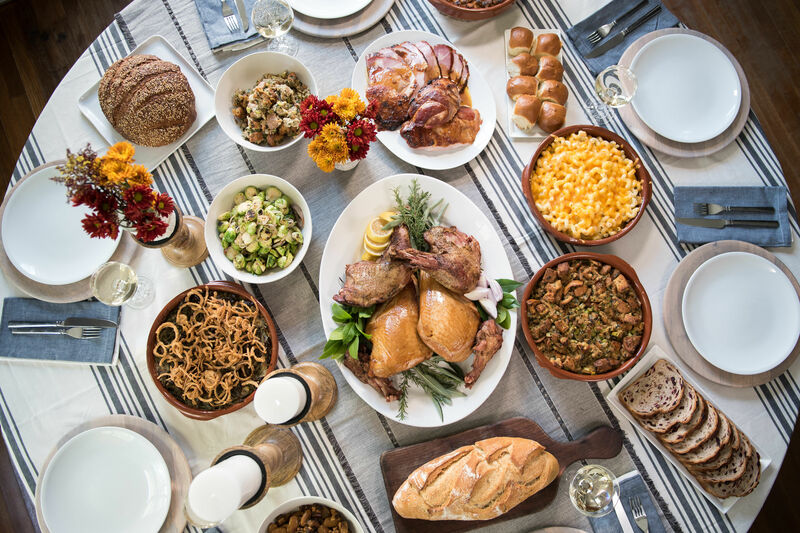 I saw trays of buttered rolls, pink and red and white meat pouring from the tops, make their way into the dining room as I waited, and waited, and waited. Finally, my order came up and I rushed it home. 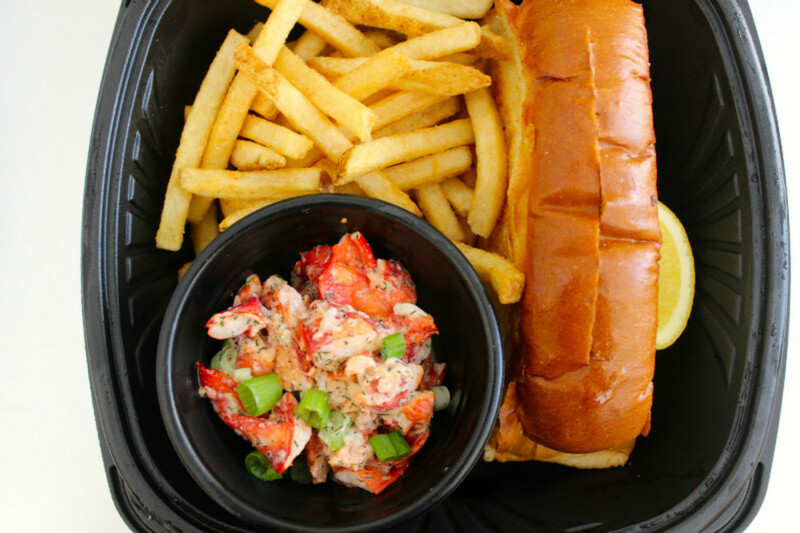 Cafe Express is always careful about packaging its to-go orders, and the lobster roll is no exception. 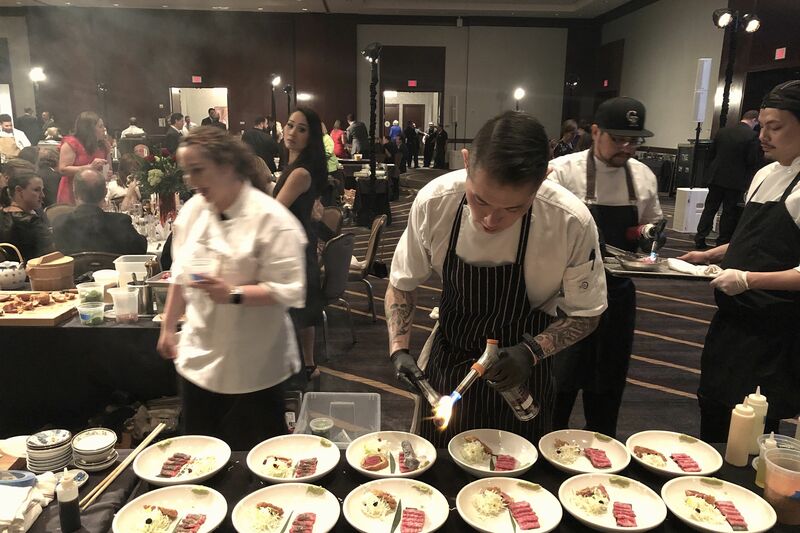 The buttered roll and the lobster meat were packaged individually, with the lobster itself in a giant plastic ramekin that [unintentionally, probably] served to highlight the large volume of claw meat you're getting with each order. I excitedly scooped it out into the roll, but my excitement waned a bit when I took a bite. You've got to hand it to Cafe Express—they've got to-go packaging down. The roll itself was nicely buttered, yes, but tough. And the lobster was unfortunately dressed in a creamy dill sauce that reminded me of chewing my way through krab-with-a-K salads of the early 1990s. I like my lobster lightly dressed in a little mayonnaise, with perhaps a squeeze of lemon juice to tart it up. Dill is such a powerful herb that here, it was the one doing the squeezing, muscling out the sweet flavor of the lobster meat. I still ate it, however, because even an average lobster roll is better than no lobster roll at all. To me, today's adventure does at least answer the fundamental question of Will people pay $18 for a lobster roll? They will—or at least they'll pay darn close to it. If they wouldn't, a smart, by-the-numbers operation like Cafe Express wouldn't be offering them at all—nor would Jonathan's the Rub be selling lobster sliders for $18 (6 ounces total), nor would Liberty Kitchen & Oysterette be selling a $30 Maine lobster roll (8 ounces total). Clearly, people will pay for the stuff—even as lobster prices are at near historic lows. 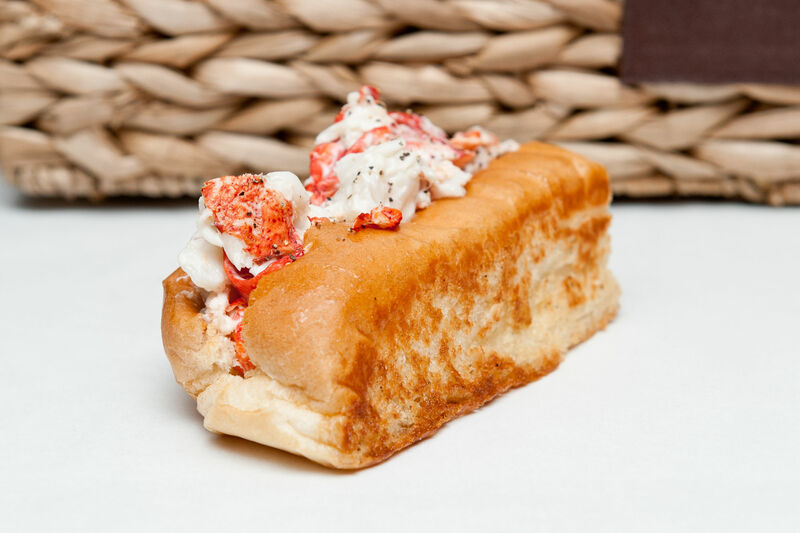 Whether you're better off paying $15 for the Cafe Express version or $18 for the Maine-ly Sandwiches version—the seminal lobster roll in Houston, as far as I'm concerned—is also not a matter of debate. It's an additional $3 well spent.